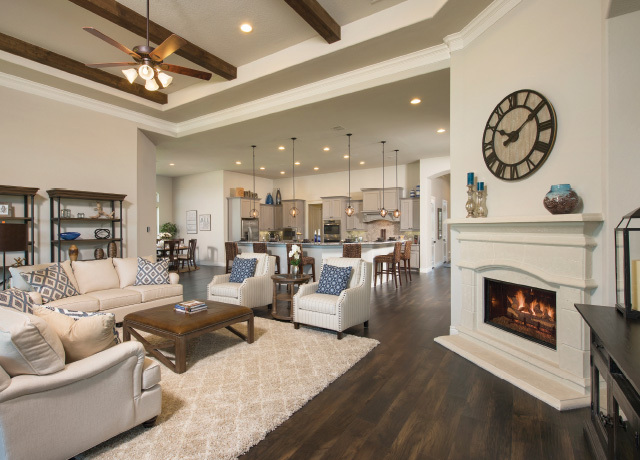 2-story floor plan features a grand entry with 21’ ceilings. Wood floors are featured throughout the main areas of the home including dining, study, kitchen, and family. 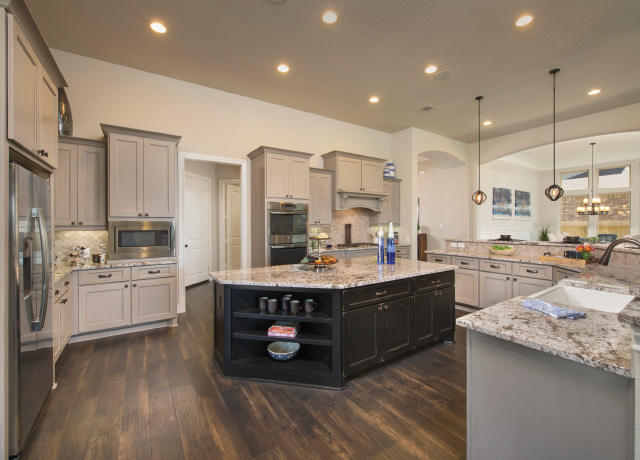 An oversized chef’s kitchen includes stainless steel built-in microwave and oven, 36” cooktop, and dishwasher. The open concept family and dining rooms look out onto the extended covered patio complete with brick columns. 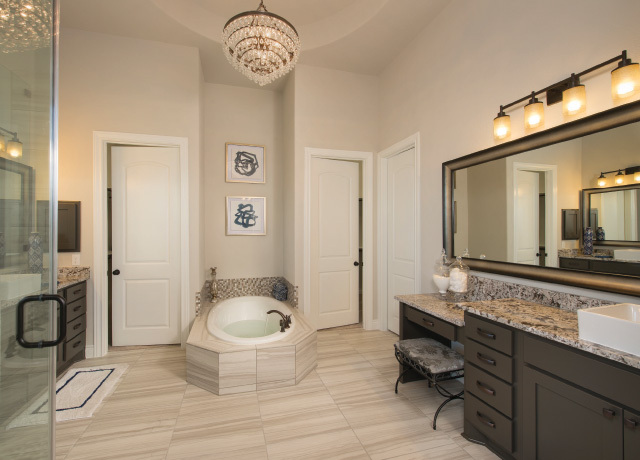 A luxurious master bath includes a 6' garden tub, separate shower, His & Hers vanities, and separate walk-in closets. Upstairs includes 2 bedrooms, 2 bathrooms, game room and media room. 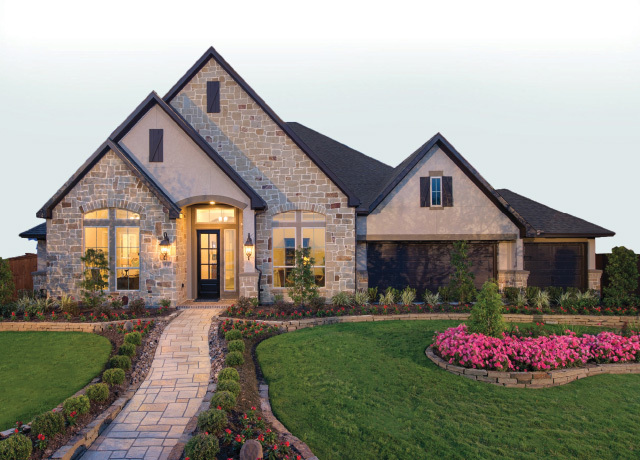 4 Bed • 4½ Bath • 5,067 sq. ft.
5 Bed • 4½ Bath • 5,068 sq. ft.
5 Bed • 4½ Bath • 4,703 sq. ft.
5 Bed • 4 Bath • 3,799 sq. ft.